Kylie Jenner claims momager Kris Jenner cut her off financially at age 14 and that she's been taking care of herself ever since. The youngest member of the Kardashian-Jenner family likely brings in some serious cash for her appearances on “Keeping Up With the Kardashians” on E! She has a seemingly lucrative fashion line at PacSun with her sister Kendall. She also co-authored a novel with Kendall, and she has various endorsement deals. In February, Kylie bought a $2.7 million mansion in the upscale California neighborhood of Calabasas. that must've been the age kris put her out on the stroll. 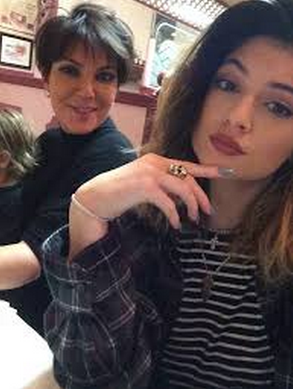 figured kylie would make enough even after kris took her cut to support herself.